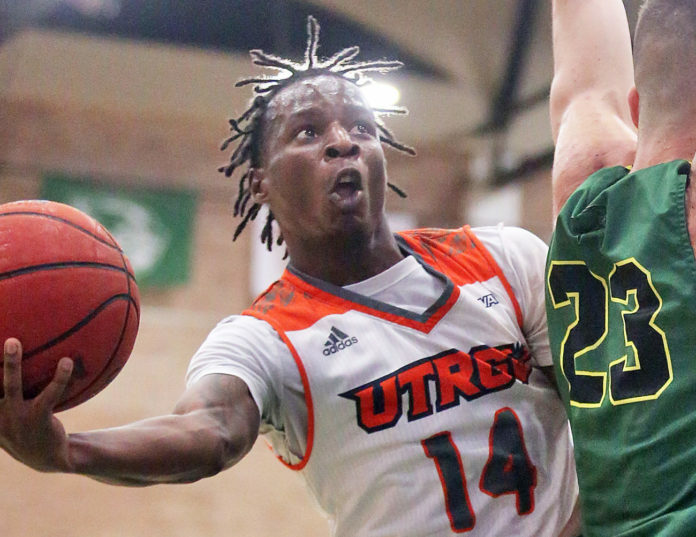 EDINBURG — UTRGV point guard Javon Levi entered Thursday as the WAC leader in steals per game, but he was without a theft until late in the first half. Levi ripped a pass away and took off down the court to convert his first basket of the game. On Chicago State’s next possession, Levi intercepted another pass. This time, he had a teammate with him on his trip up the floor. 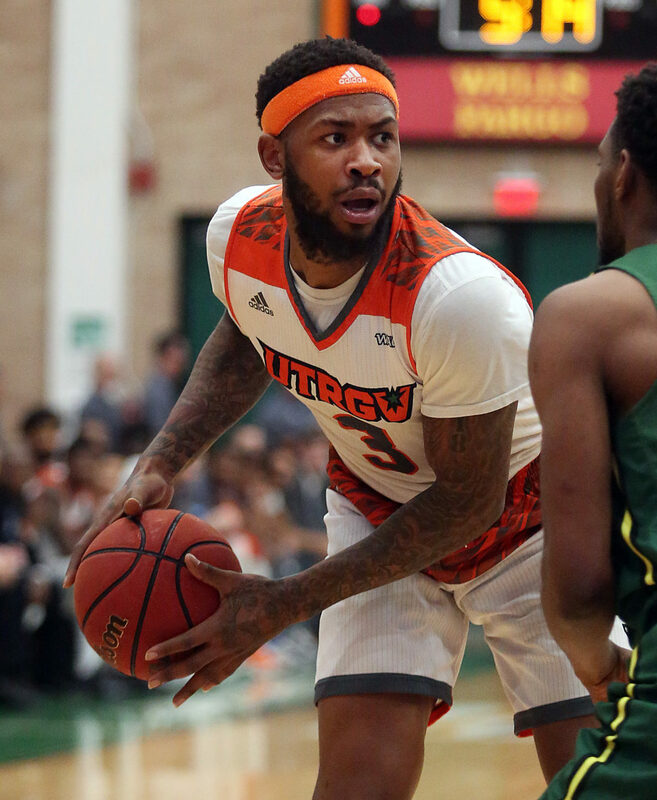 Levi connected with Jordan Jackson on an alley-oop dunk that brought the UTRGV bench to its feet and forced Chicago State to burn a 30-second timeout. The good times continued to roll for UTRGV as the Vaqueros defeated Chicago State 77-46 at the UTRGV Fieldhouse on Thursday night. The 5-foot-11 Levi ended the night with a career-high 12 assists to go along with nine points, eight rebounds and four steals. 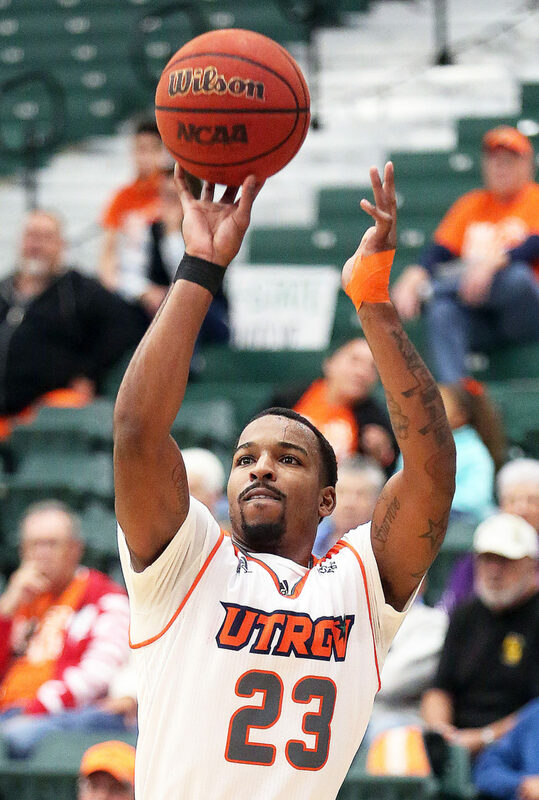 Terry Winn III led UTRGV (11-12, 3-4) in scoring with 14 points. Three other Vaqueros registered in double figures: Greg Bowie II (13 points), Jordan Jackson (13 points) and Tyson Smith (11 points). Jackson, who came into the night shooting 22.7 percent from the 3-point line this season, made a career-high three 3-pointers. UTRGV made 11 3-pointers as a team. Thursday night was a reunion of sorts for Hill and first-year Chicago State (3-17, 0-5) coach Lance Irvin. Hill and Irvin were on the same coaching staff at Texas A&M during the 2003-04 season. Hill was the associate head coach for then-Aggie coach Melvin Watkins.